A two start hotel, The Sajjan Villa, Udaipur is positioned on picturesque location of Udaipur. 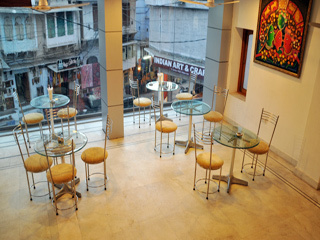 Hotel is acknowledged for providing guest oriented and enjoying accommodation service. Every room offered to the gest has amenities like air-conditioning cable TV, Wi-Fi internet access, and iron & ironing board on request. Conference Hall, Exhibit Space, Family/Child Friendly, Backup Generator, Breakfast Services, Wedding Services, Internet/Wi-Fi, Airport Transportation, Beauty Services, Restaurant. Wakeup Calls, Toothbrush/Razor on Request, Direct-Dial STD, Climate Control, Complimentary Newspaper, Internet Access, Slippers, H/C Water, Child Care, Desk. User reviews for "The Sajjan Villa Hotel Udaipur"